When Bernarr Rainbow was director of music at the College of St Mark and St John, Chelsea, he came across the 1849 diary of service music of Thomas Helmore. Astonished at its breadth of repertoire, he was inspired to investigate the circumstances of the document. His findings are recorded in this book, which sets Thomas Helmore's contribution in perspective against the background of the Choral Revival as a whole. 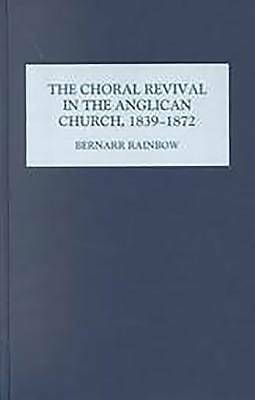 In tracing the history of the remarkable revival of care for the music of the liturgy, the author produced a socio-musical history of a period vital in the evolution of the Anglican Church, and made clear, probably for the first time, how music in the Anglican Church came to follow lines which are unique in Christendom. His book was originally published at a time of important changes in ecclesiastical thinking; his presentation of the decisions taken in the past which led to the existing relationship between choirs and congregations, interesting in itself, is also valuable in the continuing debate.